On the south side of Monroe Street in Chicago is the Art Institute. It houses masterpieces from Manet, Picasso, and Warhol. On the north side of Monroe, from November 7-16, was another museum of sorts. 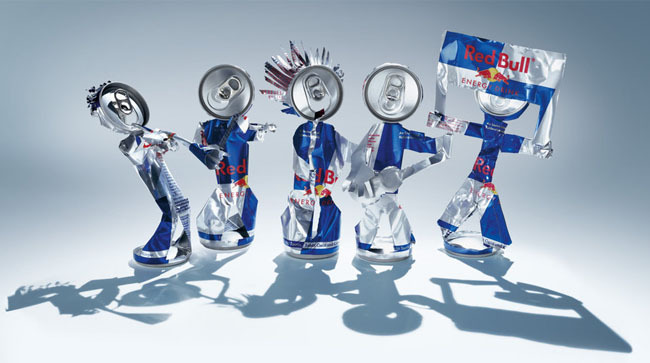 This one is called “Red Bull Art of Can: The Chicago Exhibition.” It’s an exhibit of artists – such as Kaleb Dean, Jason Sandberg, and Sunshine Durant – who have created sculptures using Red Bull cans. One sculpture depicts a paper airplane. Another a fish. And of course there is a bull resembling the energy drink’s logo. Red Bull drinkers are passionate about the brand (or at least about caffeine). The passion is authentic. On a personal note, I know my cousin, Brian Callahan, has a special place in his heart for Red Bull. Back in 2009, he and his welding torch sculpted a giant bull from the skins of hundreds of Red Bull cans. It took him more than 40 hours to create. Watch the video of Brian sculpting the bull. Red Bull inspires true devotion from its fans, and the “Art of Can” exhibit is just one small part of the brand’s own devotion to content marketing. Red Bull produces a print magazine, The Red Bulletin, with a circulation of more than 2 million. They backed Felix Baumgartner’s record-breaking parachute jump from the stratosphere. And the company’s content marketing arm, Red Bull Media House, recently became the international distribution partner to Warren Miller’s iconic skiing and snowboarding films. 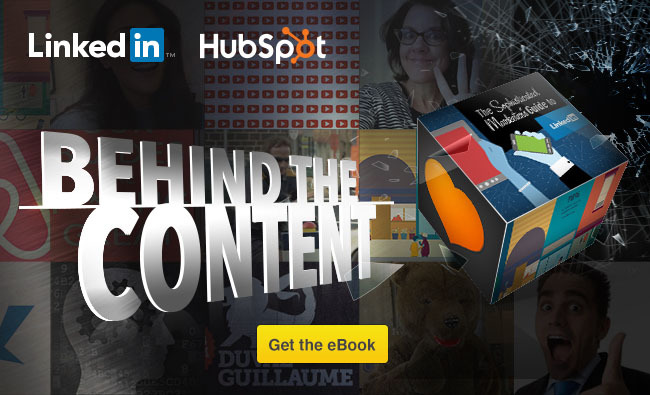 Overall, Red Bull is widely recognized as a leader in content marketing. Below are five takeaways from Red Bull’s content marketing approach that any company can learn from. Even if they don’t make works of art from your product’s packaging, your company has advocates. Your advocates will sing your praises if you give them an outlet. The most obvious way to give your best customers a voice is to feature them in case studies. You can also give your advocates a platform to talk about how they used your product or service in a webinar or at an event. This kind of content marketing is often most effective because it’s authentic. Plus, consumers tend to trust user-generated feedback over what a company says about themselves. 2. 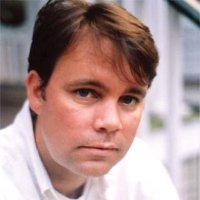 Think like a publisher. Red Bull has built a media business inside the company itself. Red Bull Media House is a big operation; 450 of its employees have completed LinkedIn profiles. Red Bull Media House operates like a publisher or a film studio, focusing on creating content, which can range from airplane races to skydiving from space. Red Bull creates content in a range of media: print, internet, video, events, and competitions. As James O’Brien put it in a Mashable article two years ago: Red Bull is a publishing empire that also happens to sell a beverage. Similarly, your brand should integrate several channels into its content marketing plan and optimize content for each specific platform. But don't worry about reinventing the wheel for each channel - refer back to Jason Miller's turkey slices analogy and artfully re-purpose your content. Creating good content that people actually want to spend time with is not easy, and it’s not cheap. Red Bull has invested in people, equipment and infrastructure to create content about daredevils, extreme sports, and free thinkers that its audience wants to interact with. To get the audience’s attention – and more important, to keep it – the content has to be good. For companies without the deep pockets of a Red Bull, the content simply has to be better than your competition. These days, marketers are often hiring content creators from their own industry: trade magazine editors who understand the market, think like publishers, and are accustomed to creating content on deadline. Bottom line for your company: Investing in content is key but brand does not equal budget. The best content is created with the highest level of empathy and with the consumer in mind. Does your audience want to be entertained, to learn, or to be inspired? Maybe all three? Red Bull focuses on creates inspiring content for its audience. What does your audience want to know? What questions are they asking? How can you be as useful and relevant as possible? Ask yourself how your content can provide them the answers they seek in the most entertaining way possible. 5. Aim to create content, not ads. Whether it’s filming Baumgartner’s skydive from the edge of the atmosphere or the sculptures crafted from Red Bull cans, the company creates compelling content. Red Bull is not making ads. The actual Red Bull energy drink is rarely seen in its content, and Red Bull doesn’t have to pay media outlets to air its content. They are making content that people flock to see, which is evidenced in the company’s almost 3.9 million YouTube channel subscribers. Even if you don’t have the budget or the audience that Red Bull has, the company’s approach to content leaves much to be learned about content marketing. When you’re thinking about your company’s next content effort, ask yourself whether it focuses on the customer, whether you’re delivering quality, and whether you’re aspirational enough – and don’t be afraid to think big once in a while. Looking for more inspiring stories from industry leaders? Check out how 9 of the coolest campaigns ever conceptualized effectively harnessed the power of emotion to elicit an action.